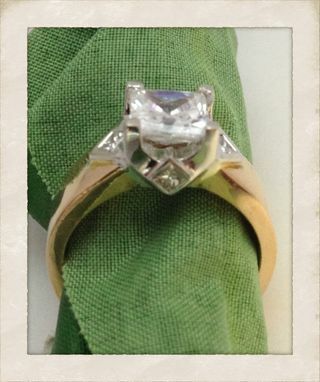 A cool contemporary design of 4 princess cut diamonds set in 14kt Rose Gold. The ring has a total of 0.20 carat of side diamonds. 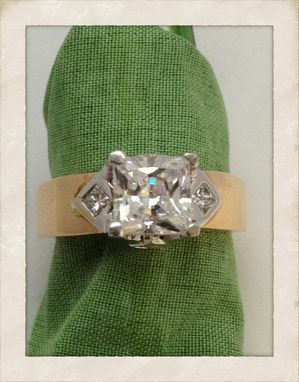 This ring is made for a 1 Carat Size Center Princess Cut stone. 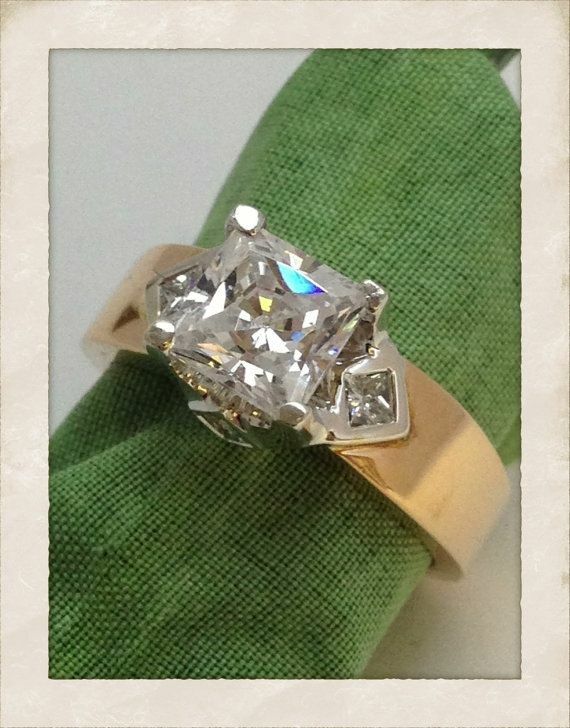 The Ring has a cool contemporary design on the shank as well as the under carriage of the ring, done by hand, Simple design, yet very shiny with quality and precision in mind.